Hitachi has developed a service platform “Lumada” that takes OT that optimally control and operate customer wind power generation systems and combines them with digital technologies, and promoted increasingly high value added service business such as sophisticated maintenance services. First of all, in order to realize stable management by customers, strengthen solution business that contributes to realization of stable operation of wind power generation systems, reduction of maintenance cost and maximization of facility performance by using predictive diagnosis system. 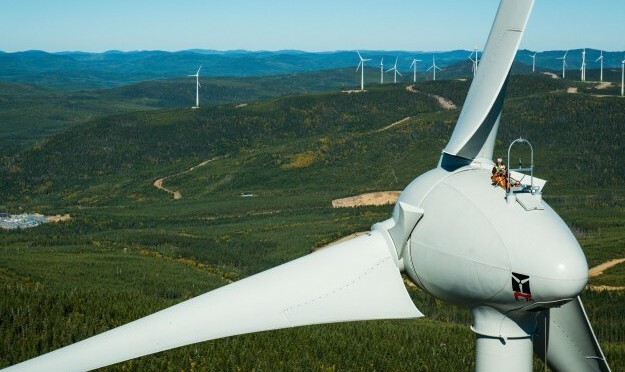 Specifically, by collecting information on the operation of a customer’s wind power generation system in real-time, equipment malfunction can be predicted, and remote control-based maintenance support can be provided to avert unexpected generation stoppages and facilitate stable operation. With predictive maintenance systems, meanwhile, information collected by the Remote Monitoring and Support Center can be used for analysis and diagnosis, allowing maintenance personnel to be swiftly dispatched to adopt appropriate measures when needed, and realize an increase in power sales amount by reducing a large repair cost and a downtime period. Hitachi, Ltd. (TSE: 6501), headquartered in Tokyo, Japan, delivers innovations that answer society’s challenges, combining its operational technology, information technology, and products/systems. The company’s consolidated revenues for fiscal 2017 (ended March 31, 2018) totaled 9,368.6 billion yen ($88.4 billion). The Hitachi Group is an innovation partner for the IoT era, and it has approximately 307,000 employees worldwide. Through collaborative creation with customers, Hitachi is deploying Social Innovation Business using digital technologies in a broad range of sectors, including Power/Energy, Industry/Distribution/Water, Urban Development, and Finance/Social Infrastructure/Healthcare.